TeamConnectSM equips school buses with push-to-talk radios or smart devices with GPS and voice communications all in one solution! With instant status updates – students stay safe! One touch of a button on a school bus two-way radio allows your driver to send ‘Child Check’ alerts to dispatch. TeamConnect stamps each of these alerts with date, time and location. 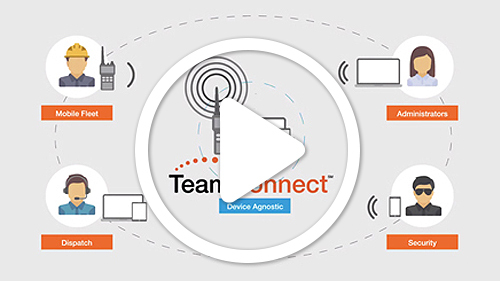 From bus drivers to teachers to administrators, your entire team is now connected with TeamConnect! Additionally, you can speak privately with one team member or connect with your entire staff including your mobile and stationary team. Keep students safe with highlighted urgent messages using push-to-talk radios for schools and smart devices. If a student is not at a bus stop – that message can be made urgent and highlighted to be brought to the dispatch’s attention.